A Bharatiya Janata Party (BJP) MP from Uttar Pradesh has demanded a house for Lord Ram under the Pradhan Mantri Awas Yojana. Lucknow: A Bharatiya Janata Party (BJP) MP from Uttar Pradesh has demanded a house for Lord Ram under the Pradhan Mantri Awas Yojana. In this regard, Hari Narayan Rajbhar has written to Ayodhya District Magistrate, saying that the Hindu god ‘has been living in a tent’, exposed to extreme weather conditions. 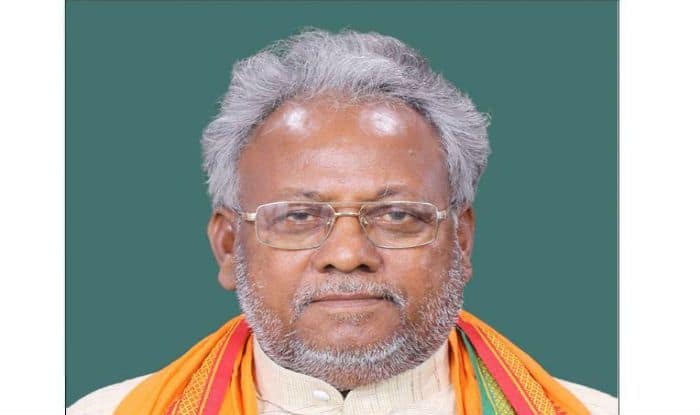 “BJP MP from Uttar Pradesh’s Ghosi, Hari Narayan Rajbhar has written to Ayodhya DM seeking a house under the Pradhan Mantri Awas Yojana for Lord Ram as ‘he has been living in a tent’,” a tweet posted by news agency ANI read. “The Union government is duty-bound to provide shelter to the homeless, so the district officials must provide a house under Pradhan Mantri Awas Yojana for Lord Ram,” Rajbhar wrote in a letter to district officials, as quoted by Hindustan Times. The curious demand by the BJP MP comes at a time when there has been a growing demand from various Hindu outfits for promulgation of an ordinance for the construction of Ram Temple in Ayodhya. While right-wing groups and the Rashtriya Swayamsewak Sangh (RSS) have been pressing for the ordinance, the opposition has been seeking a court verdict on the contentious issue. NDA ally Shiv Sena on Thursday demanded a law on construction of Ram temple, saying the government should be “daring” enough to bring the legislation on Ayodhya the way it has done on the triple talaq issue. The Supreme Court is scheduled to take up a batch of petitions for hearing in the Ram Janmabhoomi-Babri Masjid title dispute case on January 4. The matter is listed before a bench comprising Chief Justice Ranjan Gogoi and Justice SK Kaul. The bench is likely to constitute a three-judge bench for hearing as many as 14 appeals filed against the 2010 Allahabad High Court judgement, delivered in four civil suits, that the 2.77-acre land be partitioned equally among three parties — the Sunni Waqf Board, the Nirmohi Akhara and Ram Lalla.